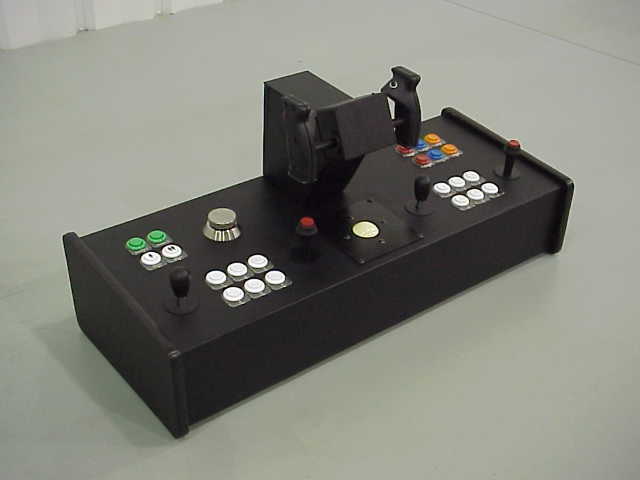 Joey Holman emailed me with his joystick project, and I've got to say it's one of the most impressive one's I've seen! He gave me his blessing to put it up here, so . . . Thanks Joey! 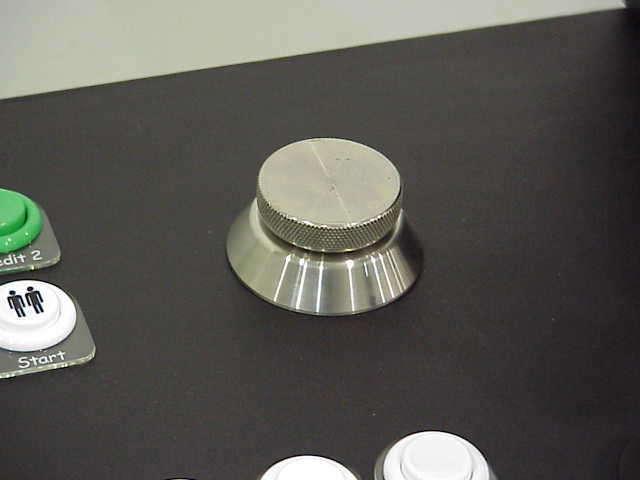 The spinner: "With the ball bearings and the weight of the stainless, mine feels better than any arcade spinner I ever used." 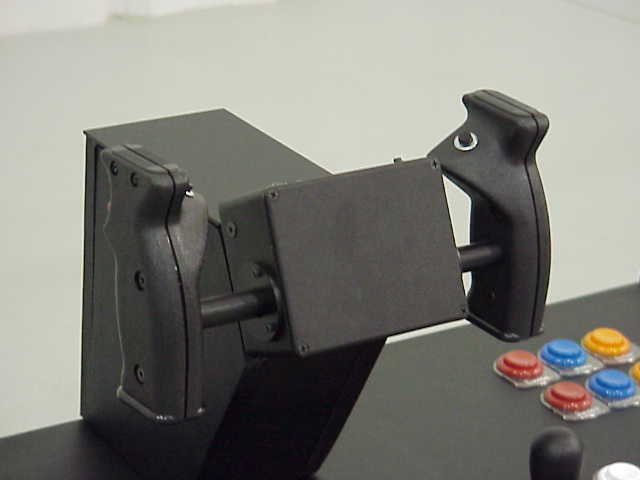 The yoke: Joey's yoke uses Happ opticoders, which allows him to avoid using the joystick port. He used Happ grips and machined the rest of it out of powder coated aluminum and black acetal. 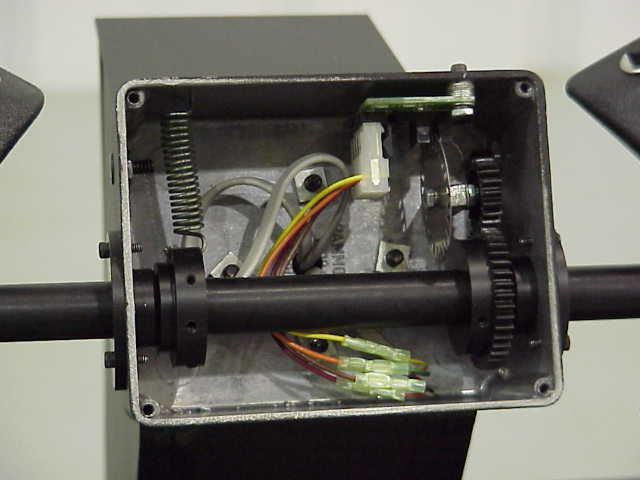 The inside pic shows the Y axis - there's a similar mechanism inside the column for the X axis. There is full spring return-to-center on both. 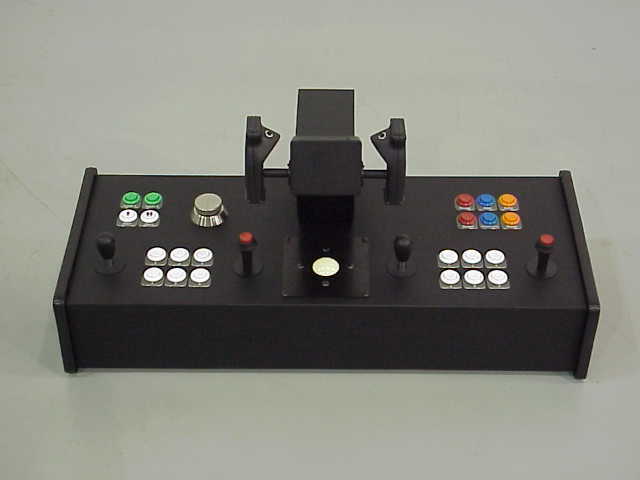 "I got the idea for having both the optical joystick & top firebutton joystick from Retrostick (who knew?) But I decided early on to make a two-player control with two sticks for each player. This would be nice for games like SmashTV. 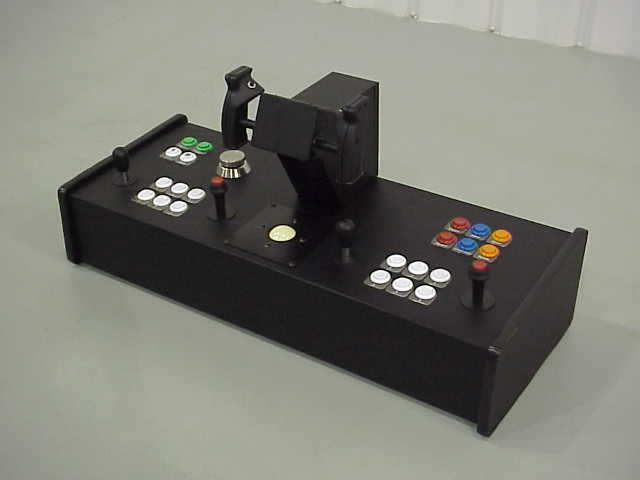 To keep from too much ghosting, each right joystick is hooked to buttons 3-6 for each player - I figure what's the odds of needing two joyticks and more than two buttons?" 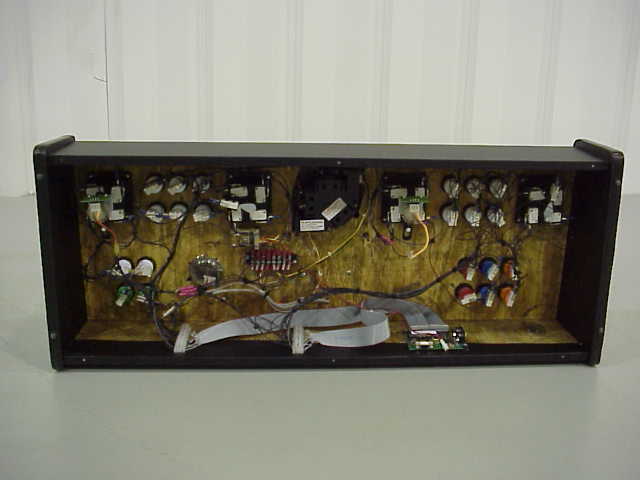 "For the Hagstron encoder, I used a 2 x 22 matrix almost identical to a suggestion someone sent in that I read right here on this site."